Professor Jari Laukkanen, the corresponding author, said: "An important finding of this research is that more regular sauna use is associated with a lower risk of death from CVD in middle-aged to elderly women as well as in men. Previous population studies were done mostly in men only." Professor Laukkanen continued: "There are several possible reasons why sauna use may decrease the risk of death due to CVD. Our research team has shown in previous studies that high sauna use is associated with lower blood pressure. Additionally, sauna use is known to trigger an increase in heart rate equal to that seen in low to moderate intensity physical exercise." I really dislike studies like this. There are too many confounding factors. Maybe those that take more sauna baths generally have easier and less stressful jobs, make more money and have the luxury of time to take more of the baths. 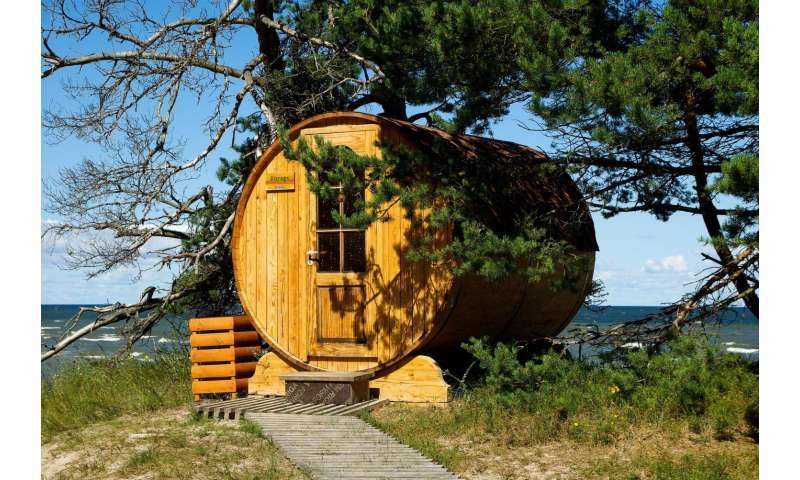 People who have the time and money to take a sauna every day are generally richer and more well-to-do. Consider that heating up a sauna for use every day costs you around €1 in electricity each time. For people in the lower social classes, that's a significant expense. You also need to own a large-ish house to have access to a sauna every day. Poor people living in apartments don't get one, or they get a communal sauna, or a tiny phone-booth sized box that gets used mostly for storage and drying laundry instead (or growing weed, as it has good ventilation, insulation and access for power and water).